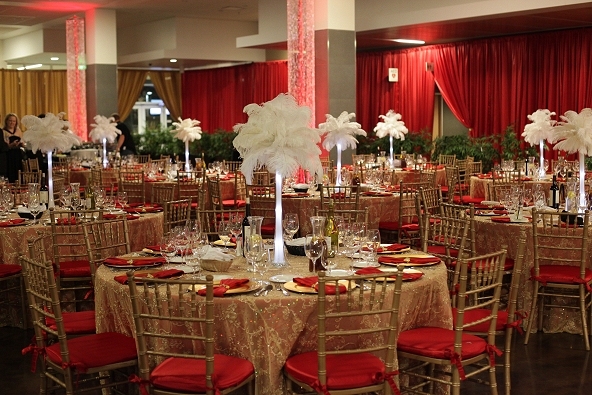 Bay Area Event Planning Services | Bay City Events, Inc. Thank you for visiting Bay City Events.com We invite you to relax, sit back and let your fingers explore the journey of our eventful web site. 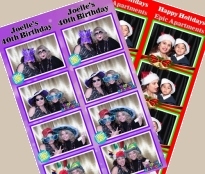 We attribute our continued event planning and party rental success to providing a consistently high quality service and product. By listening to our clients, we find out precisely what they want, discuss what they need and then ensure that we deliver exceptional results. Our dynamic, young, event planning team use their extensive event industry experience and professional expertise to create the perfect combination of inspiration, innovation and organization – time after time. Our design-led event planning solution to your corporate event can be action-packed and challenging or leisurely and relaxing. It’s completely up to you. On Schedule ... On Scene ... On Budget ... Every time! It's your party so celebrate the way you want. 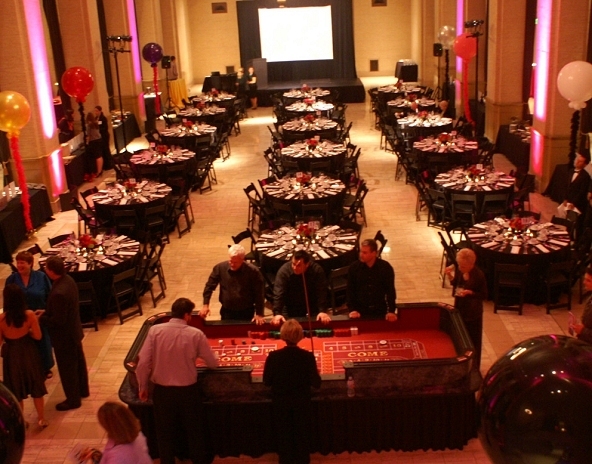 Bay City Events had the grand opportunity to set the scene for a corporate event at The Bentley Reserve in San Francisco. This event included full stage with a projection screen for a presentation to all the guests. 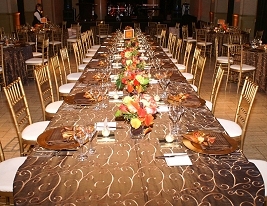 Seating was a nice deep chocolate linen with white napkins, resin black chairs and silverware to match. 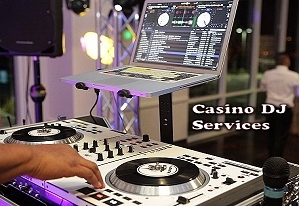 For the entertainment we had DJ Manny Ramirez from Bay City Events along with Casino Gaming that included 10 Elegant Blackjack Tables, 2 Large Craps Tables, and a Double Roulette Table all set to the side of the main dinning area. Up-lighting gave this room a nice touch along with a gentle amount of balloon clusters. 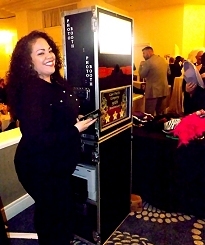 Bay City Events, Inc. had the pleasure of providing a corporate event with spectacular Casino Theme Party along with party rentals, linens, chairs, and 300' feet of pipe and drape. This event was accompanied by 250 guests and took place at "The College Of San Mateo" in San Mateo. Stage, Lighting, Entertainment, Lounge Furniture, Up-Lights, and a Casino that included 10 Blackjack Tables, 1 Double Roulette Table, 4 Poker Tables, and 2 Craps Tables. Over a dozen tall boys with red silk linens where spread all around the rooms. 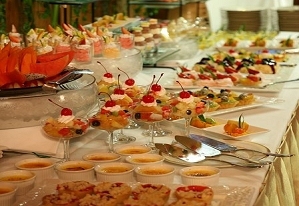 Food catering was provided by the venue that was as tasteful as the venue itself. Book it for your Holiday Party! Limited Supplies & They Go Fast! If you do not see your city listed please give us a call or drop us an e-mail letting us know we need to be in your city with our event company!